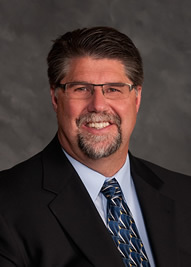 Since being named President & CEO of Horst Construction in 2008, Mr. Scheid has built upon his 35+ years of experience in the construction industry to provide leadership, vision and guidance to the Horst team. Harry has served in many other leadership positions for Horst Construction over the past 27 years and is committed to the company mission of “building exceptional environments” for all employees and every client. Harry is personally involved in providing executive support to Horst clients.